Hollywood actor and crooner Harry Connick Jr. should be used to being surrounded by women all the time, which is a good thing for his family. The 42-year-old singer recently appeared on an episode of the daytime talkshow The View and said that having a wife and three daughters is a life he wouldn’t want to change. When asked why that was, Connick Jr. talked about his late mother who died when he was 13 and said she was probably the reason he enjoys a home where he’s the only male figure. 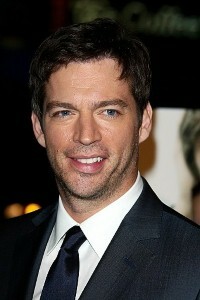 "She was my hero," Connick Jr. said. "I think she spoiled me to be around very, very bright, strong women. I’m just, I’m around amazing women a lot." Earlier this year the singer celebrated his 15th wedding anniversary with his wife Jill Goodacre. Together they have three daughters: 13-year-old Georgia Tatom, 12-year-old Sara Kate and 7-year-old Charlotte. Rounding out the family are two family dogs, who are reportedly both female as well. Recently, Connick Jr. released his 24th music album titled Your Songs, featuring standards such as "All the Way" and "Some Enchanted Evening."